My Home → Unified Communications → UCaaS → Is UC Ready for the Rise of 5G? Amid all the 5G hype, is it ready and will UC be ready? After years of indistinguishable black slabs, smartphones saw a return to innovation and diversity with the advent of devices with foldable displays. This is hugely positive for the industry, but still needs refining for the average consumer. 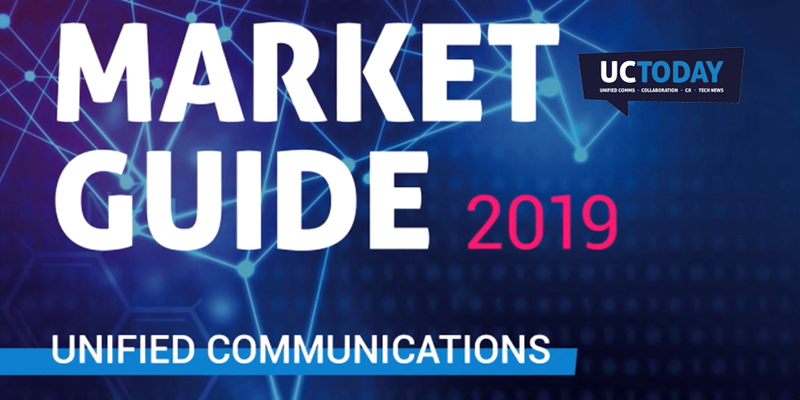 As an eagerly anticipated technology, I wanted to dig deeper into 5G and find out how much of a reality it is and what leading vendors thought about its impact on the Unified Comms industry. I spoke to David Hilliard, Chief Executive of Mentor Europe, to find out more about the impending rise of 5G, and to find out just how close we are. I asked when will 5G have a practical impact on how we communicate and what the big challenges in its way were. David recognised there is a lot of hype about 5G and we agreed that end user expectation is that it will be as seamless as switching from 3G to 4G. One morning you wake up and your phone is much faster. The second blocker David identified is the scarcity of dark fibre in the UK. This market is dominated by BT Openreach and Virgin Media who refuse to sell to mobile operators. Last year Ofcom tried to force BT into a better sales model, but it was challenged by BT and remains monopolised. We spoke about other vendors dealing in this space and David explained the infrastructure challenges faced by someone like O2. “The amount of backhaul will need to be reviewed from the tower to the exchange. In some areas, there is no capacity left. So, all operators will need to heavily upgrade their infrastructure – which goes back to funding”. I asked David what sort of provider could come to the rescue in this case. He pointed to CityFibre who have just received a $2.5bn investment for fibre to the home or the likes of Colt and EU Networks own and dispense dark fibre networks. Overall, it remains a huge challenge to deliver 5G in the UK. Once the technology does become available, there is then the challenge of geographical population. In my old London office, I struggled to pick up 3G. At my new house, there is no mobile data at all. 5G still seems a long way away for the average user. I reached out to Vanilla IP Sales and Marketing Director, Iain Sinnott, to get his view on 5G in the UCaaS space – when 5G arrives. Iain regularly deals with VARs and managed service providers that have connectivity in their product portfolio so has great first-hand insight into scenarios where deploying voice over mobile connectivity is a reality. I posed the same question to Jordan Owens, VP of Architecture at Pexip, to get a view from the video conferencing industry. Often associated with requiring extra bandwidth and network controls, the rise of 5G will play a huge part in video conferencing adoption. He straight away said yes. “I believe UC is ready for 5G, and I would argue that the UC industry has been working to enable full capability over mobile networks of all types (be it WiFi or mobile) for some time. The focus being on adaptive systems that are designed to adjust to network conditions in real time. This has already enabled more and more individuals to start using mobile networks over 4G/LTE today, and this experience will only get better as we move into higher availability of 5G throughout the rest of this year and next”. Jordan went on to cover other issues that are preventing individuals from connecting to video in larger quantities. “Although 5G will bring with it cheaper antennas and network access points, giving providers – and even individuals – the ability to spread the coverage of the network, this type of change takes a long time to take hold. In the meantime, it’s imperative that the industry continues to innovate with a focus on improving quality over the existing and widespread 4G/LTE networks”. Chatting away with UC Today Editor, Ian Taylor, he gave me an analogy that 5G will be a little like DVD players. When they were first introduced into the market, people were still using VHS. However, certain films like Gladiator, in 2000, raised $460m at the box office and people wanted to buy this on the latest device. This obviously boosted sales of DVD players. Perhaps the introduction of an XYZ service for 5G will kick start mainstream and business adoption of 5G. Be it video conferencing for 5G or contact centres for 5G, you heard it here first. Agree Ian, we’re evidently a way off. There’s also the angle of all the 4G being freed up if 5G is consumed by the many. As for 5G replacing WiFi, I think that’s even further away. Fixed over mobile is winning the current battle and I don’t personally see that changing. Long-term, I wonder if 5G will replace WiFi.